Kim Ji-won is a South Korean actress. She debuted in TV commercials, but she is now an actress with several hit dramas and movies. Kim is also a singer. Kim Ji-won was born on October 19, 1992. She was born in South Korea. Her real name is Kim Ji-won. Her religion is Christian. Before her debut, she was found on the street by an entertainment agent when she was a high school student. Later, she spent 5 years as a training student and practiced singing, dancing and acting. In 2010, Kim first entered the Korean entertainment industry by starring in the LG Cyon Lollipop ilan with Big Bang. In 2012, she played Seol Han-na’s role in SBS’s drama “To the Beautiful You”. Her popularity grew with this drama. In 2013, she received a New Star Award from SBS Drama Awards with drama “The Heirs”. This is another big hit drama that makes her famous. ‘Fight For My Way’ tells of friends who fought against the harshness of life in Seoul. They are just ordinary boys and girls from the village trying to make their fortune in the big city. Here are the four main characters. Choi Ae Ra (Kim Ji Won) is a girl with a character who is very representative of most young middle-aged women. Ae Ra is an optimistic person though often reunited with the reality of hard life. She also often pretends to be strong not to be considered weak, although in her heart she actually fears and hesitates. Ae Ra ever aspires to become a news anchor. But now, at the age of almost thirty, hse actually stranded into a central information officer in a mall. Go Dong Man (Park Seo Joon) almost reached the peak of his life at a very young age. At high school, he had almost debuted to be a national taekwondo athlete. But for some reason, he had to give up on his dream and now works as a pest exterminator. Kim Joo Man (Ahn Jae Hong) is an assistant manager at a home shopping company whose career is now on the rise. In the office, co-workers know Joo Man as a single man. In fact, Joo Man has dated a girl named Baek Sul Hee (Song Ha Yoon) for six years. Unfortunately, Sul Hee and Joo Man work in the same company. Contrary to the figure Ae Ra who looks tough, Sul Hee is a girl who looks faint and stupid but has a strong soul. Yoo Shi Jin (Song Joong Ki), is a South Korean soldier who served as a captain in special forces. Shi Jin is often assigned to a dangerous war country. One day, Shi Jin and his friend Seo Dae Young (Jin Goo) suddenly involved in a riot of citizens because there are thieves. As authorities, they tried to break the situation and sent the wounded apes to the hospital. The thief took Seo Dae Young’s mobile phone. Dae Young was trying to chase the thief to the hospital. They both went to the hospital and searched for the thief. Long story short, they met and Daeyoung mobile phone also managed to return. This is where the beginning of the story begins. Shi Jin there even teases the doctor, Kang Mo Yeon (Song Hye Gyo). Mo Yeon even thought Shi Jin as a mafia member who tortured her members. Once explained, Mo Yeon finally understood that Shi Jin is a soldier. They began to show interests with each other. Gapdong is a crime drama genre, detective, mystery, this thriller tells a detective Ha Muyeom who is obsessed with gapdong case which is a serial murder case that occurred in Iltan 20 years ago. He is obsessed because his father is accused of being a suspect, and his father gets injustice so suicide. The detective in charge at the time was Yang Chulgon. Chulgon was so obsessed with the case that, in his final days as a police officer, Chulgon was reassigned to Iltan to reveal the gapdong case. Muyeom who hates Chulgon because Chulgon is one of the causes of his father’s death, is very unlikely to have to work together and have a Chulgon boss. Likewise Chulgon who do not like to work with “child monster”. When Chulgon returned, suddenly there was a murder case, where the case occurred on the same day as the first case of the gapdong, and also the way and target of the murder was the same. Gapdong has returned! inevitably Muyeom and Chulgon have to work together to uncover the case. ‘The Heirs’ is a romantic drama that tells about elite high school students who are prepared to take over their family business. 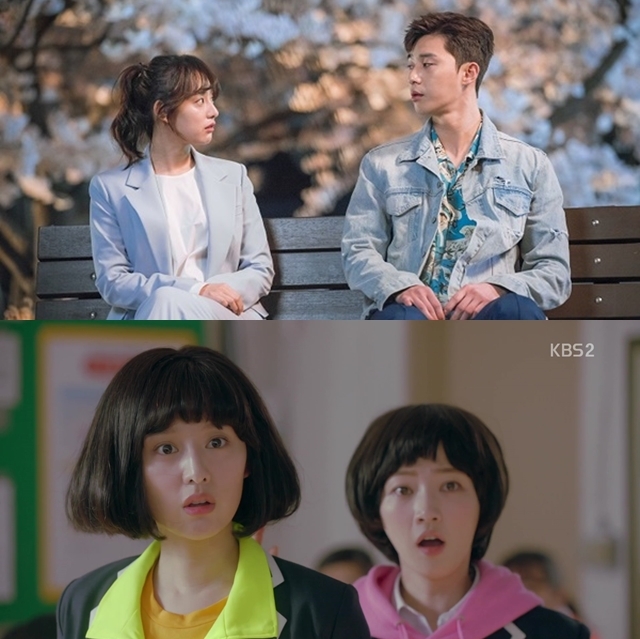 The 20-episode drama captured the audience’s attention with the twists and turns of love stories among the students. This drama gained more attention because the main actor is Lee Min Ho and the female lead is Park Shin Hye. Kim Tan (Lee Min Ho) is the heir to a big conglomerate company who is sent to America, but apparently it is a form of exile for him. When in America he meets Cha Eun Sang (Park Shin Hye) who came there to find her sister who claimed to need money to get married. The meeting between Kim Tan with Cha Eun Sang in America is filled with a romantic story that makes the audience jealous. After that, the two returned to Korea and began their journey of love full of twists and turns. 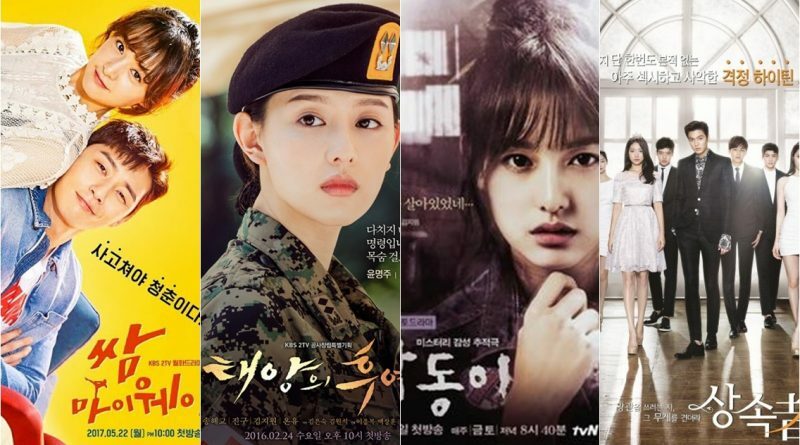 In addition to the already mentioned stars, there are Kim Ji Won, Kim Woo Bin, Krystal, Kang Min Hyuk, Kang Ha Neul, Park Hyung Sik, and others that add to the excitement of this drama.